When you are having problems with your garage door opener, it can be quite tempting to attempt to repair them or to install a new one by yourself. However, due to the heavy weight and intricate mechanism involved, these types of works can not only be complex, they are downright dangerous for any untrained persons. Relying on our experts is your best bet. We'll ensure that the job gets done correctly. With our years of experience in the industry, we can get it done quickly without compromising the quality of our work. Openers come in many different shapes and sizes, and it isn’t until you've had years of experience dealing with them that you will fully understand all of the nuances involved in both repair and replacing them. At Garage Door Repair Cypress, all of our employees have the experience and the skillset necessary to achieve perfection. A lack of experience can result in incorrect installation and will very likely result in more problems. The tools that we use when installing new garage door openers play a huge role in the speed and quality of the installation. Without them, not only can installation take a very long time to be completed, it is also possible to break some of the unit's smaller components, or fail to sufficiently tighten certain parts. It’s imperative that you have the right kind of opener installed. 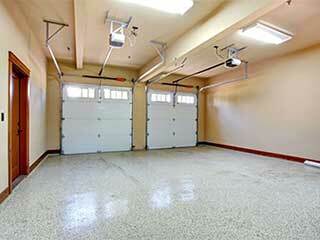 The size and weight of your garage door will determine which model you can or can't get. As most people aren't aware of several differentiating factors between the various opener types out there, it’s important that you consult our experts before purchasing one. If your garage door isn’t working correctly, or its opener seems to be giving you trouble, call our Garage Door Repair Cypress team to get the best repair service in the country.